Nepal is home to network of trails also called the Great Himalaya Trails, an extensive trail system that covers Nepal from Humla and Darchula in the west to Kanchenjunga in the east. The diversity of trekking in Nepal cannot be found in any other region of the world. In fact, the lowest point in Nepal is 59 m above sea-level in the Terai region while the highest point is Everest, 8,848 m above sea-level; the two points are, in a straight line, only 200 kilometers apart. Specialties of this region Langtang village excursion, exclusive Kyangin Gompa view, Yak Cheese Factory, Langtang glacier sights, Langtang Lirung expedition, Ganesh Himal and Manaslu. Visit holy Lake Gosaikunda, Cross Lauribinayak Pass (46100m) Sherpa Culture at Helambu. See more. 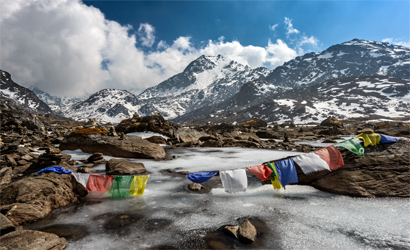 Langtang region, located at the north of capital city and bordering Tibet is protected as Langtang National Park. This is regarded as the closest and easily accessible yet magnificent trekking destination in Nepal. It has a number of high peaks including Langtang Lirung (7246m). The ultimate destination of this region is Cross Lauribinayak Pass (4610m). Amazingly, you get to see almost all of the major Himalayas in Nepal ranging from Makalu in the East to Annapurna in the West. Ganesh Himal and Manaslu can also be viewed from this region. Therefore, after Everest and Annapurna regions, Langtang is the most preferred destination of the trekkers coming to Nepal. 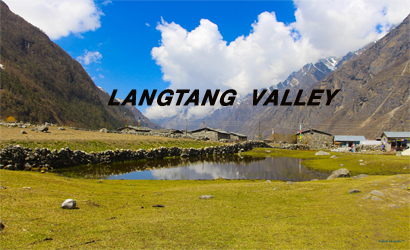 Langtang region comprises beautiful places with both natural and religious tenets. From holy lakes of Gosaikunda to natural hot springs, we can explore variety of landscapes in this region. 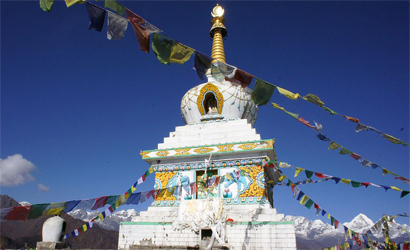 Trekkers can enjoy the diverse culture and lifestyle of Sherpa and Tamang people. People here are earning their living through tourism and yak farming. Yak cheese factory here is also one of the destinations to be at. People here are believed to be from the Tibetan origin. Hence you can also experience cross cultural diversities of Tibetan and Nepali ethnic groups. Lifestyle of Tamang, Lama, Gurung and Sherpa community living in this region look similar to Tibetans’. Hindus and Buddhist devotees visit this region with religious faith. Some of the tour packages we have intrduced to explore the region with full adventure.